Cuttings from the craftroom floor: Guest Designer for the MIC 'Colouring snow' challenge! 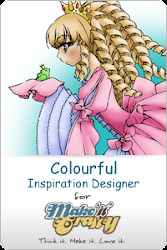 Guest Designer for the MIC 'Colouring snow' challenge! Ever had one of those days when your best laid plans get tossed out of the window and you end up flying by the seat of your pants?? This is my day today!! But I am here now, maybe a little late but I am ready to make up for it!! 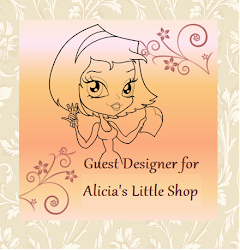 I still can't get over the fact that the wonderful DT girls at Make it Crafty asked little old me to join them as a guest designer for this challenge. This is my VERY first time as a GD and to say I was beyond nervous is an understatment! So please be gentle! 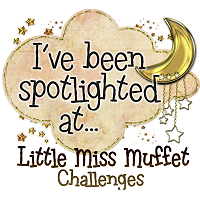 Joining me as a guest for this challenge is the very talented Kaylou of Kraftywheezle. 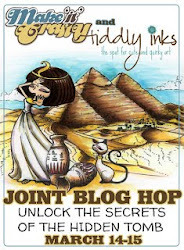 If you haven't already, check out her fab blog!! I am using this colouring challenge as a personal test aswell. Over the next 2 weeks I am going to be concentrating on colouring snow and will be sharing my progress on here. I want to see if and how much I can improve on my ideas and techniques during this time. Who's with me on this? 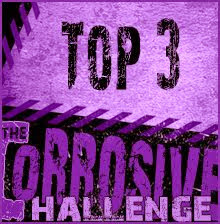 The challenge closes in approx 12 days time, there is a wonderful countdown clock in the challenge gallery to make sure your entries are in on time, so you have no excuse for not taking part!!!!! Here I have used the really cute 'Jolly Santa' digital image and then teamed him up with the 'Festive Lantern' and the 'Gift Boxes' digis from the brand spanking new 'Festive elements' collection. I have also used the 'Christmas Decorations' chippies to make the string of lights across the top of the card. 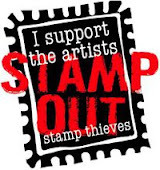 All of these can be found in the Make it Crafty Shop. For my snow here I have used BG10, B00 and C1 copics. For this card I used the beautiful 'Winter Ragamuffin' from Saturated Canary and again coloured her with copics. I also used the 'Frosty the snowman' verse from Magnolia. The papers are from DCWA. This has all been finished off with small pearl dots, silver corners, baby blue stickles, glossy accents and more stunningly delicate snowflakes from MIC. I hope you like my starting point and see where things go from here. 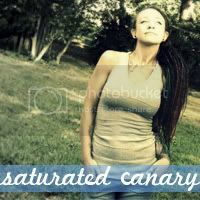 I am already working on more images that I have more confidence in so I am feeling quite positive about this. 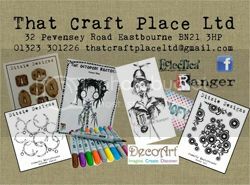 Don't foget to check out the other DT members blogs and the Make it Crafty Gallery to see their amazing work and don't forget to enter!! You never know you could be one of the lucky winners and who wouldn't want that?? See you all very soon with my next installment of 'Colouring snow'!!! Both cards are just wonderful! 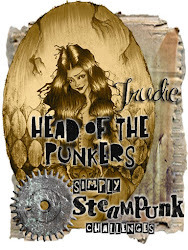 hiyah trudie! oh this is so cute, i love the little song on the nestie shape too. After a break away from blogger and a short stint on wordpress I decided it was time to come back and start over. Its now 2017 and I feel things are beginning to take off for me and my crafting. Blogger will NOT terrify and stress me out any longer! Returning DT member for Digi Galore.... Erin didn't let me get far!! Proud to be a former MIC DT member!! 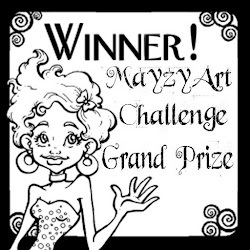 I won the Mazy Art Rainbow Challenge!! 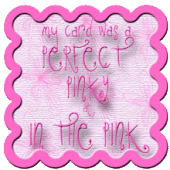 I was picked as a Perfect pPinky! TOP 5 AT MARVELOUS MAGNOLIA! Former Head of the Punkers!! 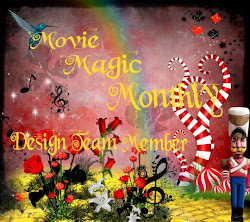 I USED TO DESIGN FOR SIMPLY CHALLENGED CHALLENGES!!!!! Former designer for Teddy Bo!! !